The dwindling budget of the Armed Forces, coulpled with the limited execution of said funds, has left crippled equipment with unqualified personnel. Few things are probably as terrifying as the idea of dying in a submarine, crushed by the hull as it literally folds under the extreme pressure of the deep sea, asphyxiated by carbon dioxide or a toxic cloud from leaked battery fluids, or engulfed by the flames of an uncontrollable chemical fire. 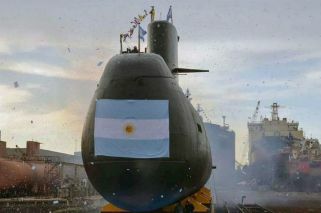 Yet, the fate of the ARA San Juan submarine, which communicated with mission control for the last time on Wednesday November 15 to report a problem with its electrical system, is part of a complex network of failures that is endemic to Argentina. As with most Argentine catastrophes — from the Cromañon nightclub fire to the Once station train crash — the ARA San Juan disaster had “a long incubation period with early warning signs that were either misinterpreted, ignored or missed completely,” as Columbia University sociologist Diane Vaughan puts it. It is an example of the “normalisation of deviance,” as people and organisations “become so much accustomed to a deviant behaviour that they don’t consider it as deviant, despite the fact that they far exceed their own rules for elementary safety.” And, as usual, the families of those involved are dragged through the mud. 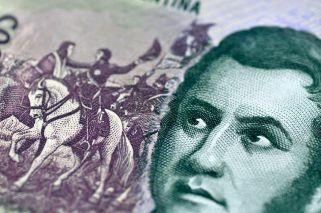 From a technical perspective, the dwindling budget of Argentina’s Armed Forces, coupled with the limited execution of said funds, has left crippled equipment with unqualified personnel. “Since the end of the Civic-Military Dictatorship that the Navy has faced budget issues, which in turn limit the capacity of maintaining equipment, and also the proper training of crews,” explained Andrei Serbin, the research director at CRIES, a Latin American think-tank. The problem is having a running budget in order to get vessels out to sea to conduct war games, which is where a Navy develops “military aptitude.” The crew of the ARA San Juan was clearly underqualified by international standards, particularly in the face of an extreme situation. The same thing can be said by the Navy’s upper ranks, and the general Armed Forces’, where low salaries and a cultural rejection of their role in society have created a generalised brain drain. It’s also troubling that the disappeared submarine had actually been serviced in 2014, leading to both Cristina Fernandez de Kirchner and Marcos Peña, President Mauricio Macri’s chief-ofstaff, to claim the San Juan had another 30 years of operational life. Even the president, in his Friday press conference, said the submarine was “in perfect conditions for sailing.” The servicing began in 2008, under then-defence minister Nilda Garré, and was completed during the tenure of Agustin Rossi. “Servicing a submarine costs US$50 million at the time,” said Federico Luna of Zona Militar. The repairs, which were finally conducted by state-owned CINAR, cost some US$10 million. “They haven’t invested in weapons, those torpedoes were bought in the 1970s and used in the Malvinas [Falklands] War, proving their low effectiveness,” concluded Luna. CINAR, which stands for Argentine Naval Industrial Complex, had to dig deep to find qualified workers for submarine repairs. At the time, Rossi proudly remarked that one of the workers had been running a bodega, having been out of the business for several decades. Another passed away “from natural causes” during the servicing. The disappearance of the San Juan, with 44 crew-members, brought the whole house of cards crashing down. Widespread deviant behaviour, perpetuated by its repetition, leads to tragedy. And the government is clearly a major player in this network of failure. Reports of the lack of communication between Aguad and the Navy became public after the submarine went missing, but those close to the defence sector warn that the minister was looking to force the resignation of all of the Navy’s top brass. Despite being appointed by Macri only last year, Admiral Marcelo Srur appears to have been on the chopping block for a while. Macri’s brilliant communication team hasn’t figured out how to deal with negative events, leaving the most vulnerable fully exposed. As we saw with the case of Santiago Maldonado, it took Macri way too long to come out publicly. And when he did, he gave a press conference that lasted four minutes and decided not to take questions from the press. On Thursday, images of emotionally volatile family members at the Mar del Plata Naval Base had flooded TV screens, as the relatives of the missing sailors were essentially told their loved ones were all dead. “They told us to reach our own conclusions, trying to brush off their responsibility,” the friend of one of the crew-members told reporters. No containment, just empty words. A cultural change is needed in order to rip the “social normalisation of deviance” from the root of our Argentine essence. Failure to do so will only lead to more preventable tragedies.